Our smile is mainly formed by the upper ten teeth including the incisors, canines and the premolars and the rest of it is formed by the lower six teeth. 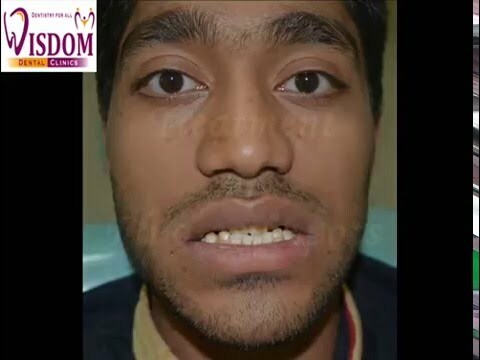 Smile designing is a procedure involving the alteration of not only the shade, size and colour of teeth but also the shade and contouring of the gums also known as the gingiva. Who would not want a beautiful dazzling smile with sparkling white teeth? 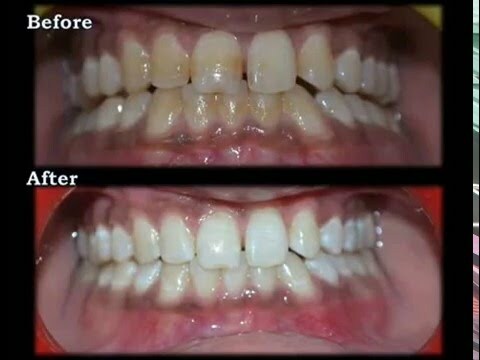 Well, one of the latest and the most common procedures in Cosmetic Dentistry known as tooth whitening (tooth bleaching) can help you achieve that! 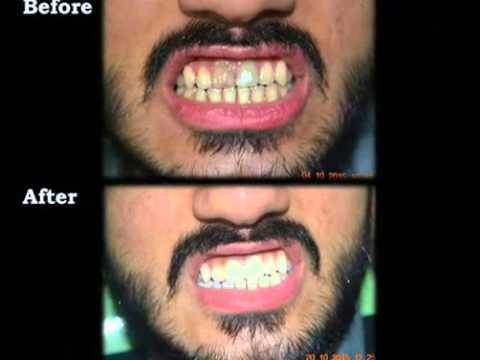 According to FDA, teeth bleaching isto be used when teeth can be whitened beyond its natural color. . Majority of us start with decently white teeth .The tooth crown structure, as you know, consists of the outermost white layer known as enamel, the middle yellowish layer known as dentin and the innermost core known as the pulp (nerve) of the tooth. 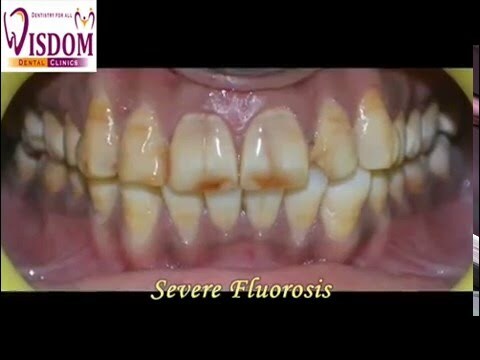 Over period of years, the enamel starts wearing out, there are micro cracks developing due to biting and chewing forces and food debris and stains get lodged between them. Also, the yellow dentin below the now thin enamel gives the tooth an overall yellowish hue. Cosmetic tooth bleaching will help out removing the stains from the micro cracks in enamel, which later get mineralized due to saliva. A sparkling smile is literally possible these days with the help of tooth jewellery and smile designing in dentistry which results in a beautiful smile thereby improving the overall personality and definitely the confidence level. Tooth Jewellery is the latest trend in Cosmetic Dentistry and is popular with people of all ages. 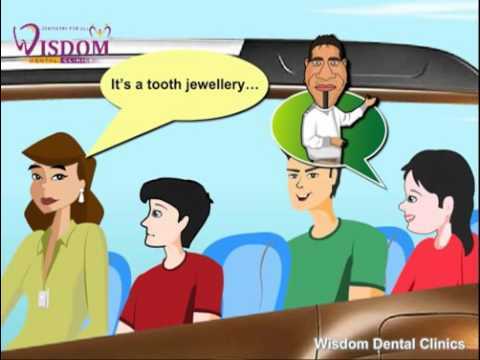 At Wisdom Dental Clinics we use diamond studs, tooth rings or tattoos, studs as they are the most popular and in demand. Diamond studs come in various sizes and colors including sapphire gold or crystal or something in gold with a twinkle of ruby in it. These studs are usually placed on the lateral incisor.